Is recycling better than banning plastic bags? Many African countries have announced a total ban on plastic bags, including Botswana and Kenya. These bans include the use, manufacture and importation of one of the most common packaging materials. But is a total ban the best solution to combat plastic bag litter? South Africa is certainly leading sub-Saharan Africa when it comes to recycling, keeping in mind that not all African countries have a solid recycling sector. The answer lies in the local context of each country. This is one possible solution to dealing with plastic bag waste. 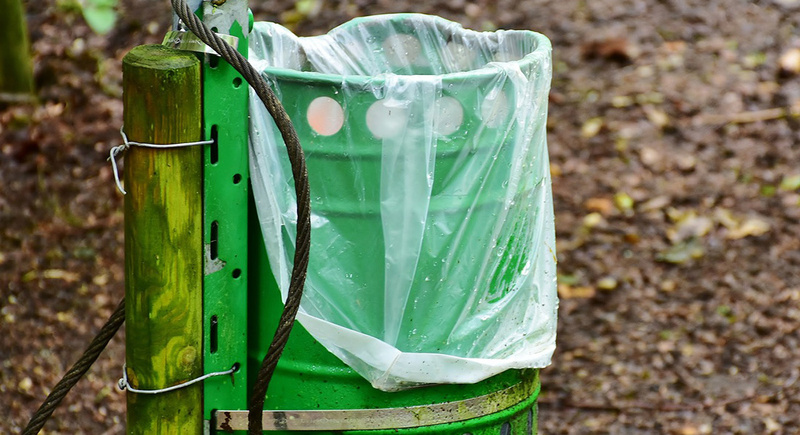 Not all recycling facilities can process the thin plastic used to create grocery bags. The bags can jam recycling machines that are not designed to handle the thin plastic. However, recycling may still be a better solution than banning plastic grocery bags. A total ban will have a severe economic impact on a country as plastic bags are among the most mass-produced products in the plastic industry. The sector is a major provider of jobs, which is partly why South Africa has not adopted a total ban on plastic bags. Although plastic bags are one of the most common litter items found on beaches and in the environment, they do have certain advantages over other packaging materials. Plastic bags are extremely light, they are highly malleable (they can be scrunched into a small space) and they are cheap to produce. Plastic bags come in a range of shapes and sizes for various applications. Around one trillion plastic bags are manufactured around the world every year. They can be an abundant source of recycling material for waste management facilities, adding further benefits to a country’s economy. In countries where many citizens survive on a low income, plastic bags offer an affordable solution for carrying goods. The problems arise when plastic bags are not disposed of correctly. If plastic bags end up in the environment, they present a significant danger to wildlife. Plastic can last hundreds of years in the environment, which makes them a risk for centuries after they are littered. South Africa has adopted stricter policy measures to regulate plastic waste. Higher recycling targets and anti-plastic campaigns are being implemented across the country. Numerous retailers are phasing out single-use plastics and offering customer benefits for avoiding plastic bags. The recovery and recycling of plastic bags is a sustainable strategy for plastic waste management. It is also a good solution for developing countries that need to maximise job opportunities. Recycling creates employment – both formal and informal, which is beneficial to society and the economy. Recycling makes more sense for countries like South Africa where alternative products are more costly to produce. South Africa’s solid recycling industry is capable of processing plastic bags and reintroducing them to the market. Waste management strategies such as recycling may be a better solution for South Africa and many other nations on the continent. Plastic bags can be collected and reintroduced to the packaging product stream, unlocking extra economic potential during their lifespan. A total ban on bags may be better for the environment, but governments need to consider the broader scope of impacts before deciding to outlaw plastic bags.